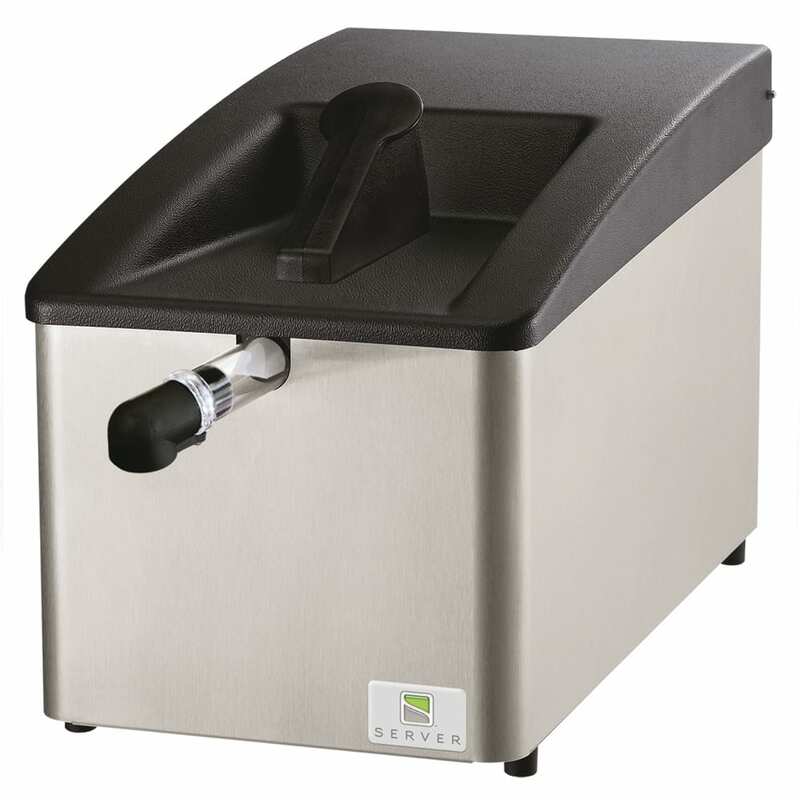 Extreme Countertop Dispenser is constructed of a stainless steel shroud with black plastic lid. Includes NSF listed, 5-piece plastic pump. Works exclusively with 3-gallon (11.3 L) bag in box packaging with a 38 mm bag connector. Pump yields a maximum stroke of 1-ounce (30 ml) with adjustable portion control to reduce yield in 1/4-ounce (7 ml) increments. The Extreme Countertop Dispenser is designed to work best with smooth condiments and sauces achieving up to 97% evacuation. Countertop unit needs no installation. Holds 3-gallon (11L) bag in box packaging for maximum time between change outs. NSF listed pump is quick to breakdown and completely dishwasher safe. Maximum stroke yields 1-ounce (30 ml). Easy-to-adjust portion control in 1/4-ounce (7 ml) increments. Warranty: Server Products equipment is backed by a two-year limited warranty against defects in materials and workmanship. 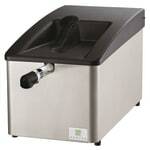 Extreme Countertop Dispenser features a portion controlled, NSF listed, plastic Server pump. Dispense from a 3-gallon volume packed bag with a 38mm fitment. Maximum portion is 1-oz with easy to adjust portion control in 1/4-oz increments.